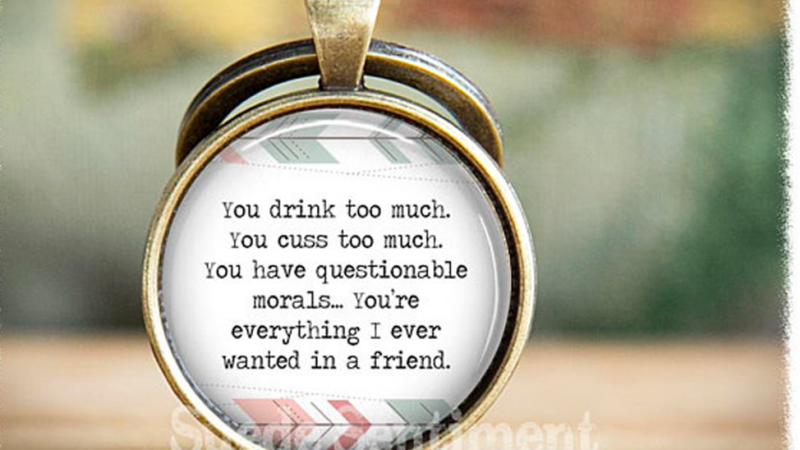 This keychain is a hilarious gag gift for a special friend. The best thing about good friends is that they are good to be around because they let us be ourselves. If you have a friend that will appreciate the humor of this cool keychain then it is sure to be a treasured gift. A great idea for a special occasion or just because you want to show that you care. The keychain come with a pouch which makes it a great gift item. It is extremely important that the people we love know how we feel about them. 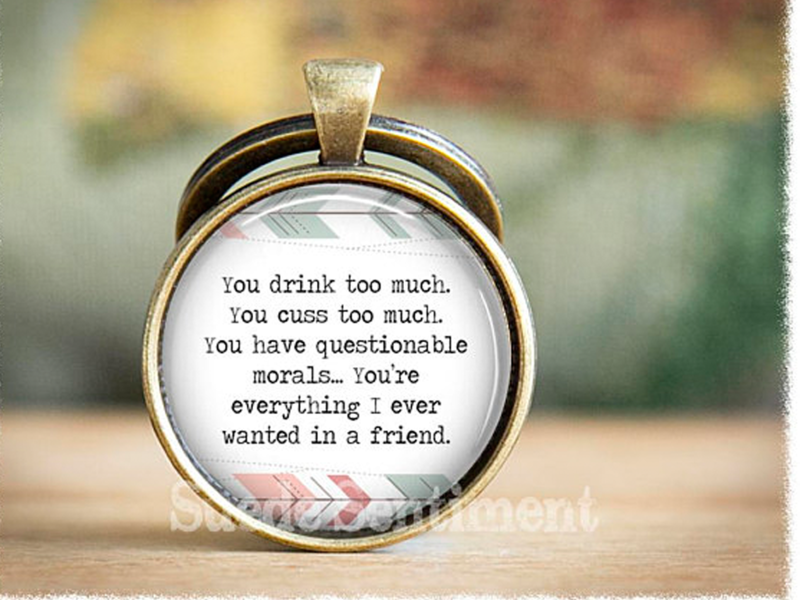 The funny quote on this keychain may not seem very loving but between friends that share jokes it really is a nice gesture. Let them know you care about them no matter what. Having friends to turn to is very important when you are having issues in your life. Sometimes we all need someone to talk to who will listen and care how we feel. Friends are also great to hang out with and celebrate with. Research has shown that having people in our live that we connect well with is not only good for our psychological health but also for physical wellbeing. If you do have close friends in your life then you are very lucky. You can select to have the keychain set in either antiqued bronze or silver. Choose either stainless steel or a bronze plated split ring. The image is easy to see even though keychains are not very big because it is inset with a special magnifying dome made from solid glass. This keychain is offered for sale by an Etsy artist and is also available featuring other designs.